If you know me, you probably know that the greatest passions of my life are baseball, God and family – not in that order. So, with Opening Day upon us, my thoughts have once again turned to baseball. If you have been unfortunate enough to be on my Friday email list for a while, what follows is something you have seen before. There is an ailment that I have been afflicted with for as far back as I can remember. As a very young boy, I was exposed to baseball and, like most boys growing up in Southwestern Ohio in the 1970’s, I caught a bad case of baseball fever. Baseball fever, like many other fevers, can cause one to lose touch with reality and to act in odd ways. As a child, I was prone to spend countless hours during the summer playing the game of baseball. If I could not find any fellow sufferers to share in a game, I would spend hours simply throwing a baseball against the back wall of my elementary school. This exercise was often accompanied by the delusion that I was pitching in the seventh game of the World Series and that the outcome hung on each and every pitch. Night brought little relief as the fever led me to sit on the front porch with my father and brother and listen to Al or Marty and the ‘ole left-hander describe a baseball game on the radio, hoping to hear phrases like “that one is OUTTA here!” and “THIS one belongs to the Reds.” On days when the weather was bad, I would spend my time studying little pieces of cardboard and memorizing the numbers and facts printed on the back or perhaps recreating the picture on the front of how each player held a bat or wound up to throw the ball. I would beg my father for some change so I could run up to the drugstore and buy more of these pieces of cardboard and the cardboard-like gum that came with them. In those days a quarter could be exchanged for five packs of baseball cards with each pack containing five cards and a stick of gum. Over the years, I have constantly guarded these treasures from harmful disasters like house cleanings and garage sales. There were some days when baseball fever had me in a state of delirious splendor. On these very wonderful occasions, my father would take me to magical places called Crosley Field or Riverfront Stadium where I had the grand privilege of watching my heroes play this game I had come to love. As years went on, the fever never went away. It would subside for a time, but it would always return in the spring. I moved out of Ohio for a number of years, but every year we would return to visit family and the trip would always coincide, mysteriously, with a home stand. This would invisibly, irresistibly draw me and my father, and later my sons back to a place where others gathered to watch these chosen men who somehow were fortunate enough to earn their living by playing this child’s game. Fortune smiled and I was able to move back to Southwestern Ohio. For several years I could look out from the building in downtown Cincinnati I worked in and gaze across at Riverfront Stadium, that place I went to as a youth to see men named Morgan, Rose, Bench, Perez, Foster, Griffey, Concpecion, Geronimo, Gullet and others. Sometimes at lunch I would walk around the stadium and I could almost hear the cheers of days gone by. I was able to see Great American Ballpark rise up and take form and have seen Larkin, Casey, Griffey Jr., Votto, Phillips and Bruce begin to build the memories of a new era. Now it is spring once again. 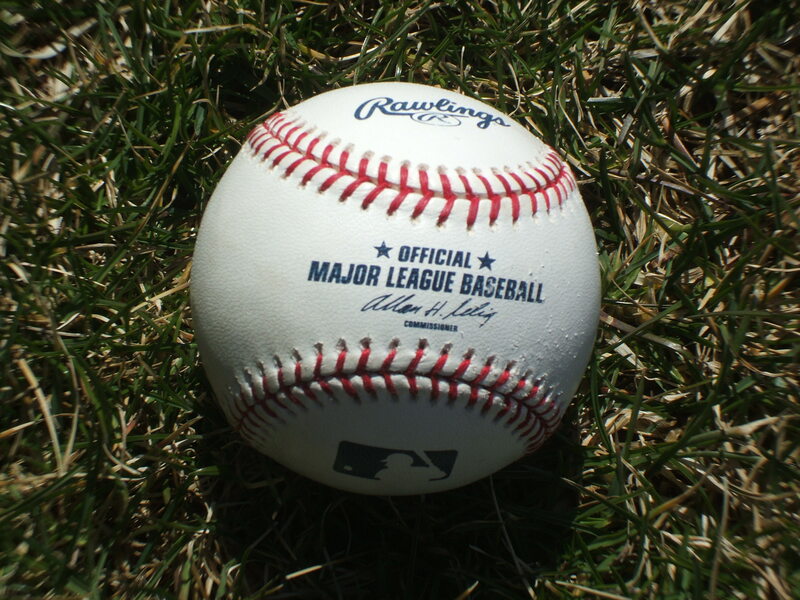 With spring comes not only green grass and flowers, but the return of baseball fever. This is one ailment that they have not yet found a cure for and I hope they never do. This entry was posted in baseball, Humor on March 30, 2014 by Leonard. Yep, everything is good today because baseball is back. I wished I were in Cincy for all the festivities but I plan to watch the game on TV…. a benefit of working for myself. Are you getting the chance to go? I have a framed picture on my wall of the last opening day in Riverfront Stadium (which I attended) with the great American ballpark rising up in the outfield. I was thinking about going tonight for the Marlins first game but I decided to avoid the traffic and plan to go see them later this week. Maybe they will finish .500 this year. I can think that in April. I don’t know if I sent you a picture or not but at the they have a bobblehead museum at the park. Cards should be okay if they stay healthy and their young pitchers pitch like they did last year, which is not a given. Anyway, enjoy the day, pal.